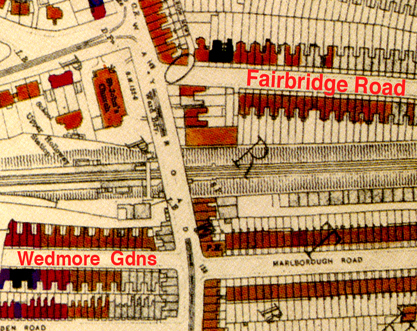 Following their wedding the John and Emily Ruff moved from Fairbridge Road Upper Holloway to nearby Wedmore Gardens. 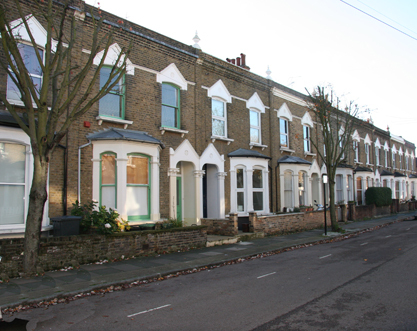 Their house is pictured below present day. Number 17 is the house with green painted windows. Their first child Grace Emily was born here in June 1909 (see certificate above).